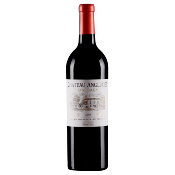 A fruit driven, full bodied early drinking St Emilion with broad layers of indulgent, rich cherries, mocha and a hint of spice on the finish. Intense, sweet, succulent and ripe blackcurrant fruit with a lovely freshness both on the nose and palate.Truly excellent and drinking perfectly now, but will keep- if you can! Generous fruit aroma on the nose, with a good fleshy structure, soft on the palate. Ready to drink now but will keep for a few years. Concentrated and intense with ripe aromas of red and black fruit and fine oak. Fleshy, powerful and well-balanced and quite persistent across the palate. Dense ruby/purple plenty of cassis fruit with firm and ripe tannin, typical of a cabernet dominated wine. 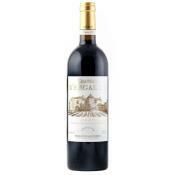 Our best selling claret. Approachable blackcurrant fruit, a fine balance of tannin. Acidity and fruit in a great vintage. The Chateau is located partly in the commune of CISSAC adjacent to Pauillac and partly on the plateau of VERTHEUIL contiguous with Saint-Estèphe. The plantings are 58% cabernet sauvignon, 35% merlot, 5% petit verdot and 2% cabernet franc and these make up the wines to a greater or lesser extent according to the harvest. Very approachable, smooth everyday claret, very well structured and balanced,and excellent value . Blend of about 65% merlot and 35% Cabernet Sauvignon and Cabernet Franc. A beautiful wine, once again, from this property that has been on a superb qualitative roll for several decades. Dense ruby/purple with notes of graphite, background oak, youthful crème de cassis and blackberry fruit as well as a floral underpinning, it is medium to full-bodied, textured, rich and impressive. Still in a somewhat adolescent stage, it should hit full maturity in another 2-3 years and last at least two decades. Drink 2017-2037. 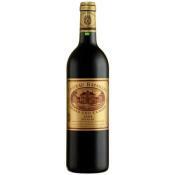 Bordeaux that represents reasonably good value in this super-expensive vintage. Deep ruby to the rim, it offers up scents of damp earth, black currants, cherries, liquorice and herbs. Black fruits and toast aromas. Big and tannic, medium purple in colour with an expressive, youthful nose of liquorice, roasted coffee, ripe plums and slight chocolate . A wine with elegant and smooth drive. Well-layered and complex with flavours being very well integrated. Ripe red fruit aroma on the nose with a good fleshy structure on the palate. Very attractive and currently drinking. This small estate has been handed down from mother to daughter for 3 generations and is currently tended by Corinne Baudouin who is involved from prunning the vine to the bottling ! 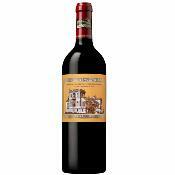 Dark purple with aroma of black fruits with touches of dark chocolate, violets and plum - very margaux. Rounded on the palate with fine tannins and satisfying finish! 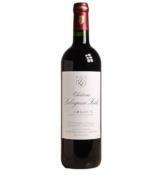 The second wine of the famous Ch Leoville Lascasse.